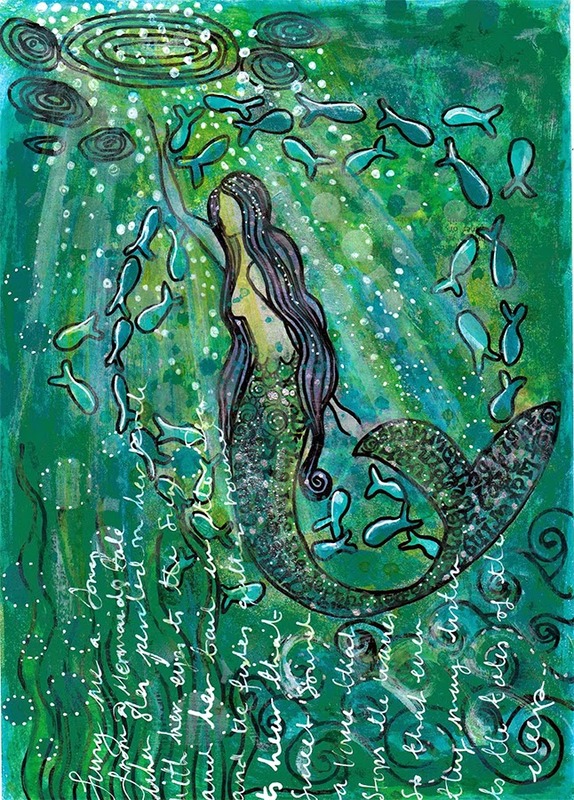 by Sami - "I had done a very delicate drawing of a mermaid in black fineliner and she had words from a poem in her tail. I painted it using Dyan Reaveley paints and managed to capture some of the luminance of the light sparking under the water. Then I decided to give it a little spritz with some white ink spray to highlight the sunlit areas and messed it up totally! The white ink came out and covered everything and I tried to mop it up but to no avail. It washed out everything and no amount of rubbing would bring it back. The only pen that would work over the top of the ink was a posca paint pen so my delicate drawing now resembles a cartoon! I couldn't get the colours to work properly over the white ink either so this is now my end result. Not quite how I intended it to look but ce le vie!!!!" 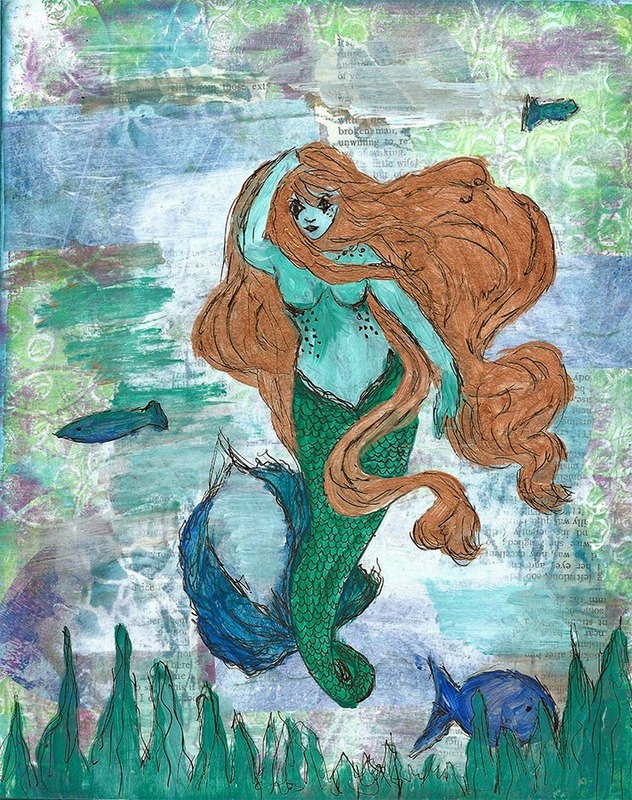 by Virginia - "I loved the beautiful background to this page, I put a very fine layer of gesso over the page, I then found an online colouring page of a mermaid and used it to help me create my very own. I painted it using acrylics and finished it with a black fine liner. 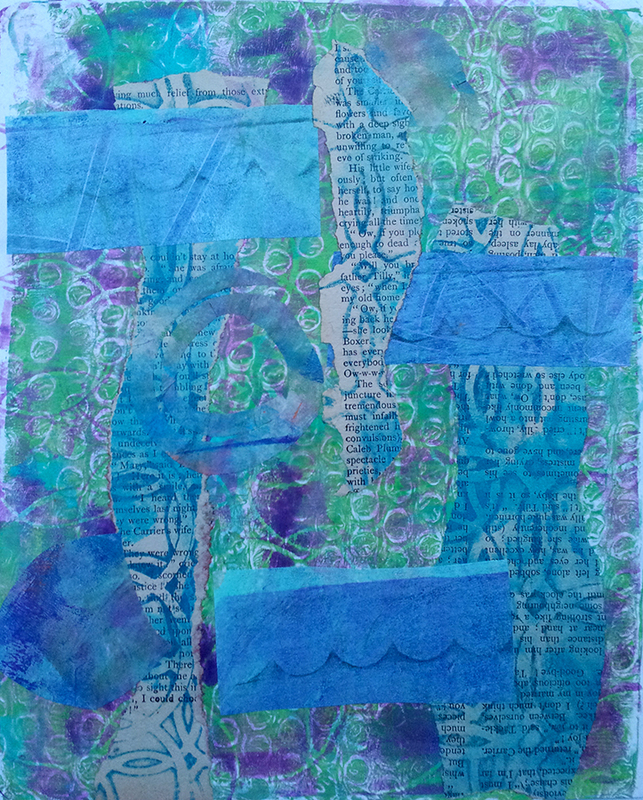 I added several free hand fish and the seaweed at the bottom of the page. The ladies hair was bronze acrylic which actually came out quite well in the scan. 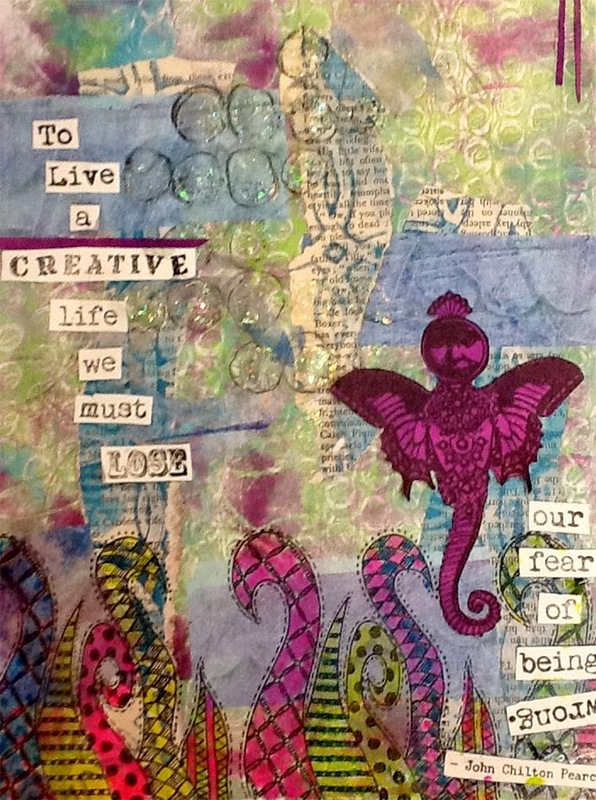 I love this journal, so lovely just to play with paints"
by Gill - "I thought the quote was apt as I didn't have a clue on the "right way" to do this page, complete wall of blankness when I thought about it. Thought this little stamp was vaguely mermaid like!" 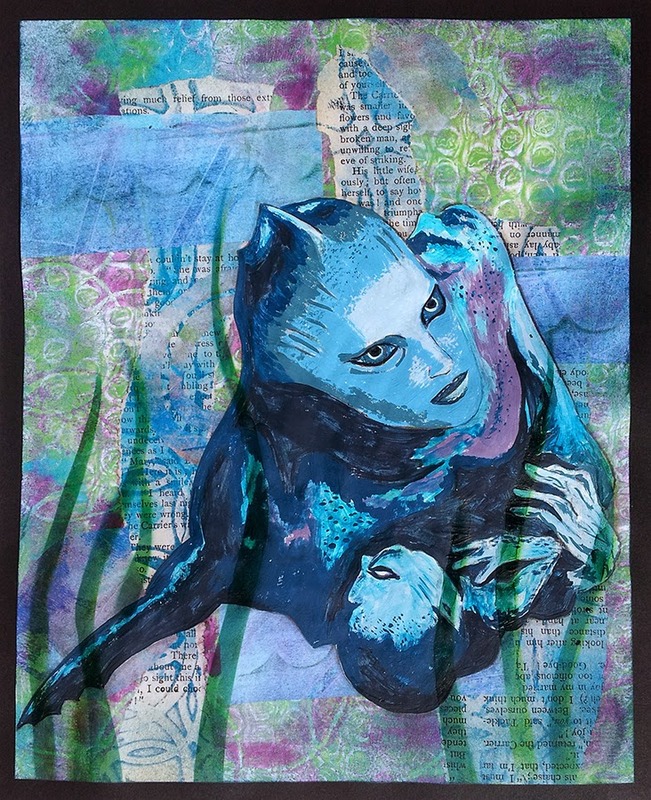 by Sarah - "I knew as soon as I saw this theme that I'd be painting this mama mermaid from the Animal Planet fake mermaid documentary, as I really enjoyed that programme, and whereas most of the mermaids in the show were scary/ugly, I thought she was really beautiful. 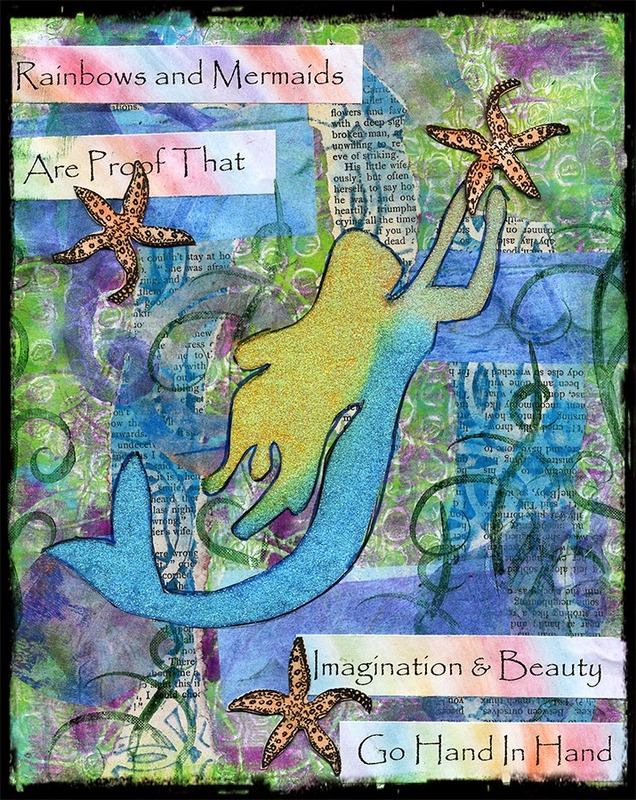 Mama and baby painted using Paper Artsy acrylics, reeds airbrushed over the top using Copic airbrush system"
by Pat - "I used inks and paint for the background and painted the mermaid with acrylics"
by Carmen - "Here we go. Simple again - but... love her. So maybe this CJ is teaching me something? Maybe I don't need to get all my shelves and chuck everything at a page. Hmm. 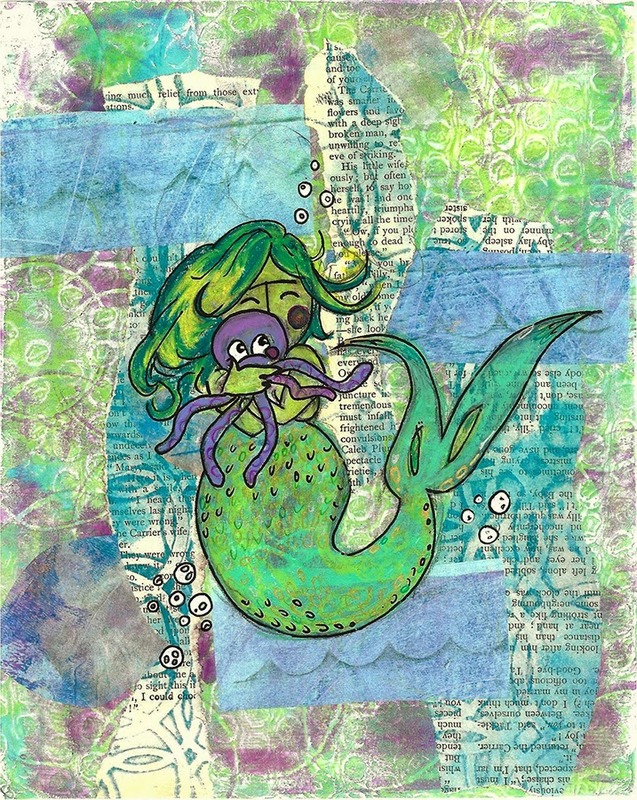 I was going for the look of a story book illustration - maybe a page torn from a mermaid story (a mermaid tale?) I couldn't decide whether to add words or not and in the end didn't. Obviously. I used Neocolour IIs and Posca pens. Her tale has lots of shimmery gold and silver in it which the scan hasn't picked up. 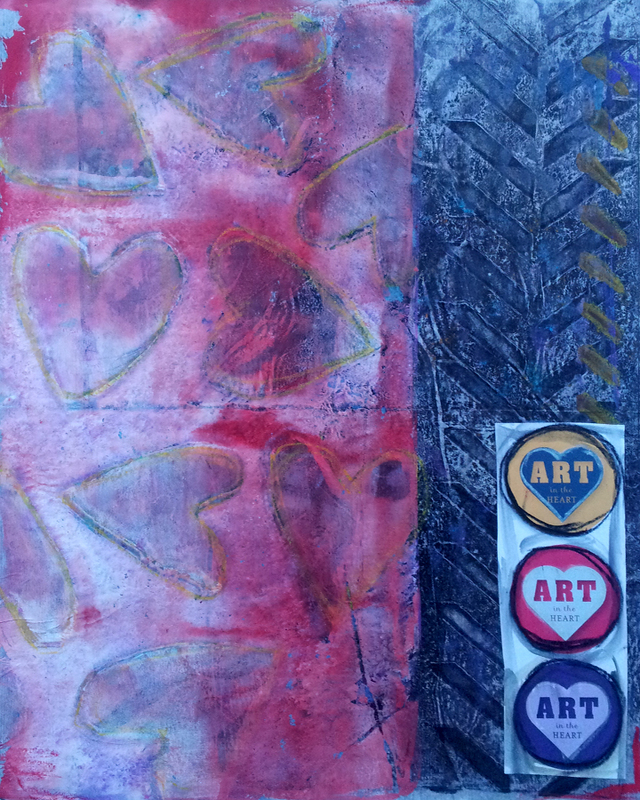 Thank you Sami for such a gorgeous background to work on." 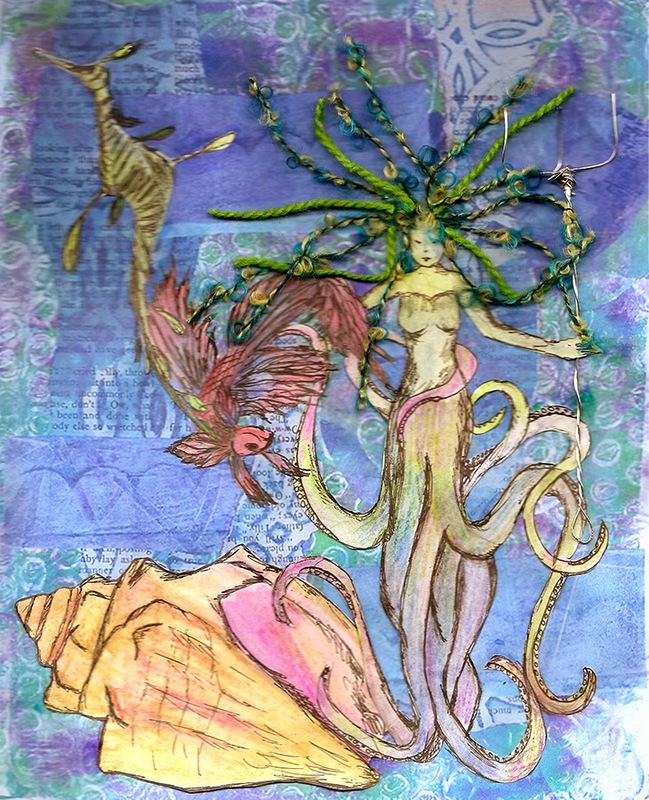 by Pam - "I love Octopuses so I did a Mer-Octo rather than a fishy one :) Drawn with pen and ink from various references - watercolours, wire for the trident, fibre for the hair "
And that's all for this month as Katie is still recovering from her op - get well soon Katie! We were a little late with the reveal this time due to various poorlies and mishaps, but I am sure you'll agree it was well worth the wait! What a gorgeous undersea gallery! Her theme is "Art in my heart"
Sami I love your page - I don't know what your delicate mermaid looked like but I love this one too - I'm really into dark outlines at the moment since you got me looking into Mucha a while back! 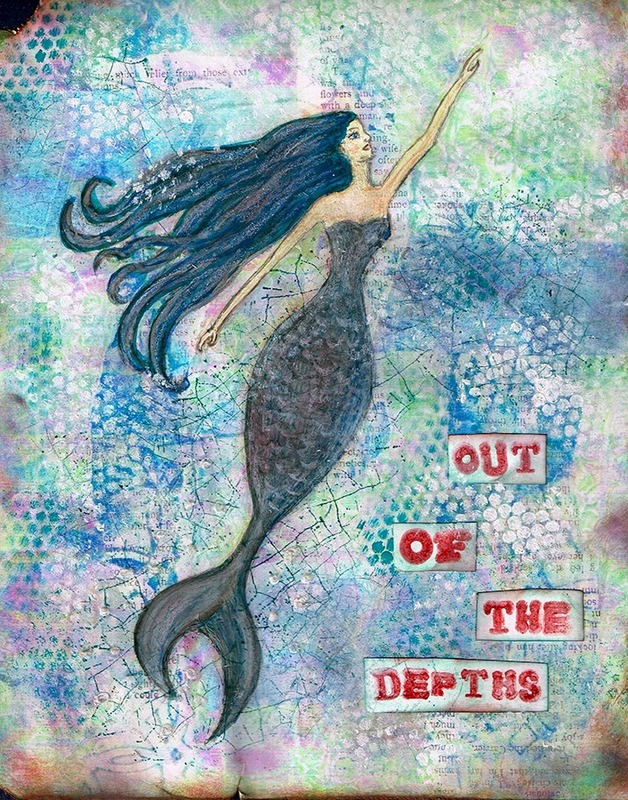 All such gorgeous mermaids - I haven't seen that documentary Sarah - sounds an interesting one! I love them all think they are fab and a great interpretation on all of them! Just looking at all of them. Oh how interesting. Oh all so gorgeous everyone. A looker on here.